Do you like Freaky Cows? Share it with your friends. 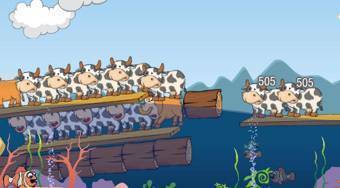 Freaky Cows - place wooden blocks into the water and then put on all the cows and bulls so that they do not get drowned.